As we have seen, Government’s roll-out to meet the needs of remedial learners is lagging behind schedule. In time, we hope that public schools will meet the needs of these learners. Currently, the best option for parents of students with learning challenges is independent schools. Studies have shown that remedial learners can benefit from the proper environment. Results have shown that not just academic performance will improve with remedial schooling. Behavioural and emotional conditions improve noticeably too. 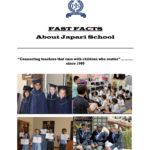 Japari is an independent school offering our students the remedial environment they need. At our school, they will flourish. Japari is an outstanding option for the child with remedial needs. How soon should remedial needs be addressed in school learners? Addressing remedial needs in children as early as possible is important. Doing so yields long-term benefits. The sooner a student is given the attention they need, the better the results for the student. To ensure that remedial learners’ needs are met, they need individualised attention. They need small groups and a safe environment. They need staff trained and focused on how best to teach these children. At Japari we are passionate about seeing our remedial learners succeed. We offer a holistic approach to teaching. This encourages students in their abilities and unlocks their potential. We have classes from Grade R – Grade 7, with no more than 15 students each. We have the best teachers with the training they need to educate our students. None of our students are overlooked. Each is taught in the way they need. And more! Over half a century of experience as an independent remedial school! Individual learning plans! And our unique Reading Department! Japari School has over 50 years of experience in remedial education. We are an independent school like no other. We have a proven track record of results with our students. These are pupils who had struggled in traditional school environments. Our Grade R – 3 students each have an Individual Education Plan (IEP). Each is designed specifically for each child and revised each term. Our Grade R – 2’s all take part in compulsory gross motor skill classes. An occupational therapist and physiotherapist lead these classes. With these foundational measures put in place, our learners are set up for success. We also have a unique reading programme for all learners from grade 2 – 5. This is a critical stage of development for any child. Many people have given up hope in students with special needs but we aim to instil a love for reading in them. We have 8 dedicated teachers in our Reading Department. They liaise with the class teachers and therapists to be part of each student’s holistic learning experience. We use a wide range of resources, from books, encyclopaedias, newspapers and articles, to computers and games. The aim is to cater for each learner’s interests and needs. The Reading Department aims to improve phonological awareness and foster oral expressive vocabulary. It also promotes fluent reading and better comprehension. Appropriate written response is also established in the students. Our Grade 4 – 7’s are also given the individual attention they need to do their best. From grade 5 our pupils are exposed to a study skills course. The course aims to develop meaningful and effective learning strategies for each student. There is also an annual adventure camp for the grade 5 – 7’s. This aims to foster leadership skills. Our Monitor/Mentor program teaches our grade 7 pupils to be role models to the younger students. This is a very affirming process. We see our students rising to the occasion, year after year. Our goal at Japari is not simply to produce students who can pass tests. We are setting them up to succeed in life. Our environment encourages all learners to develop confidence and a good self-image. With all the challenges that children face today, issues of negative self-esteem are more prevalent than ever. For the remedial learner, this is heightened. Having a child with learning challenges in a mainstream school isn’t a good idea. It accentuates all the challenges that they are already facing. Attending an independent remedial school in itself is already beneficial for these learners. At Japari we want to see our students becoming independent young people. We know that they are capable of succeeding beyond school if they are given the right tools. Japari is the best school to give them these tools. We teach our children that they do have genuine strengths and abilities. There are things they can do better than children without learning challenges. We teach them to be proactive. In our safe and nurturing learning environment, they learn to ask for help when they need it. Needing help is nothing to be embarrassed about. An independent remedial school of excellence teaches them this. We teach them how to persevere. Many people, regardless of learning abilities, don’t learn perseverance. At Japari we are lovingly teaching our students to keep going. We understand how difficult their challenges are. We also know that they can succeed if they don’t quit. We show them how to keep going even when it is very hard. We set challenging but attainable goals. This is a life skill that everyone can benefit from. And our students develop that skill. Japari wants to make remedial education available to as many learners in need as possible. For this reason, we aim to offer our schooling at as reasonable a cost as we can. Our fees are competitively priced. This is in comparison to other independent remedial schools*. We still offer the best education to our learners. We have a unique arrangement with our therapists. It ensures that all our students get the best professional attention. It also allows the therapists to run their own practices. This means Japari’s students get the finest assessments an independent school can offer. It also allows us to keep our competitive fee structure. Our therapists are also contracted with medical aids. Most medical aids will cover the costs for therapy sessions. Our children receive the best attention available. This gives them the best opportunity to excel as remedial learners. Japari is an independent school. We are a not-for-profit organization (NPO) and a Public Benefit Organisation (PBO). We are registered as a Section 21 company. All this means that Japari’s school fees are eligible for tax rebates. Parents of our students receive an annual document from our Bursar. This details how to submit your school invoices and other applicable tax documents to SARS to receive the school-fee rebates due to them. Parents can expect reasonable monthly fees and tax benefits. Japari adds up to being the best-cost option for the best remedial education for our students. These and other reasons make Japari the best independent remedial school you can consider. Be in touch to arrange to see our campus for yourself. We are always happy to meet with and discuss how we can assist in seeing your children become the best they can be. * Based on an online survey of school fees of a dozen independent remedial schools and private schools that offer remedial programmes in Johannesburg and surrounds. The comparison was of the fees as advertised on these schools’ websites. The figures considered didn’t take into account enrolment costs and other charges.